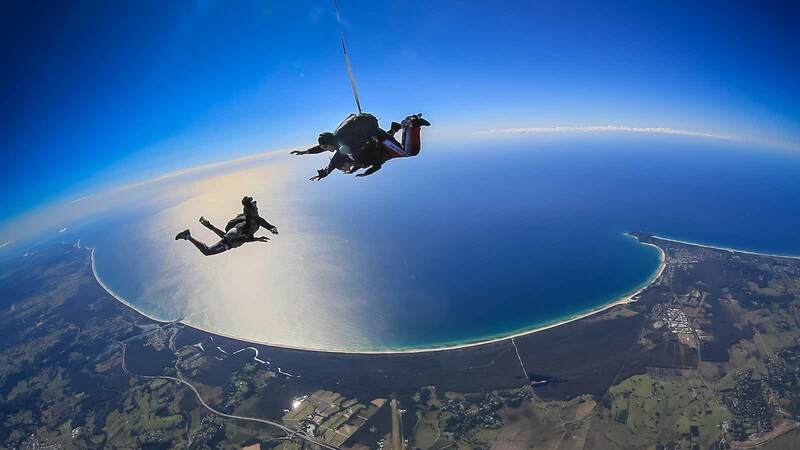 Take in the unsurpassable views of Australia's spectacular surf beach, Byron Bay as you fall 14,000 feet out of a plane. Get your heart racing and jump on this exhilarating experience everyone should try. Skydiving at 14,000 feet is pure adrenaline. An experience that will truly make you feel alive, you’ll be strapped to a qualified tandem skydive master -who will teach you everything you need to know and guide you every second of the way. With your heart racing, you will be guided out of the plane for your tandem skydive where you will reach speeds of up to 200 kilometres per hour in your freefall. And once your parachute has been deployed for your descent, we recommend taking a breath and enjoying the spectacular views of Byron Bay.